It is with deep regret and sadness that the ASPP informs its members and supporters of the passing of longtime member, Anita Duncan. 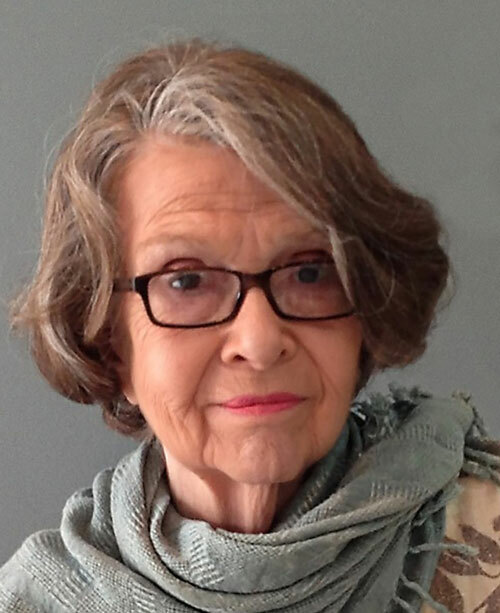 Anita Louise Duncan, age 80, died peacefully on May 21, 2018 in Evansville, Indiana at Market Street Independent Living. She is survived by her sister Marty (Michael) Riley of Long Beach, Indiana, her nephews, Shawn (Alesa) Riley of Peoria, Arizona, and their six children; Patrick (Rico) Riley of Cave Creek, Arizona, and his four children; Bryan Duncan (Maggie) Riley of Ann Arbor Michigan, and their three children; and Kristen Riley of Venice, California. Also surviving are cousins Judy (Duncan) Burhans of Spencer, Indiana and Steve (Nancy) Duncan of Evansville, Indiana. She also leaves behind the many friends who joined her on her life journey in NYC as well as Evansville. Anita was born on June 9, 1937, in Evansville, Indiana to Hugh H. and Pauline (Chapman) Duncan. When in first grade at Evansville’s Stanley Hall Grade School, she announced that she wanted to be an artist when she grew up. Anita graduated from Evansville Bosse High School in 1955 and from Indiana University in 1959 with a Bachelor of Fine Arts (majoring in Design.) After numerous jobs throughout the country she found the love of her life, New York City, where she lived for over 50 years. Using her art degree, she worked as a college and elementary school textbook designer, book editor, photo researcher and director of editorial licensing. Sixteen months of that NYC time were spent working for Marvel Comics, where she became friends with Spiderman! She was named Picture Professional of the Year by The American Society of Picture Professionals in 2005. When she retired in 2012, she was director of Marketing & Permissions for a stock photography agency – Science Source – originally known as Photo Researchers. She will be remembered by family and friends as a fun loving person with “stories” to tell, most of them involving New York City. After all, as she told most people, “I’m a New Yorker!” The interment of her ashes will be at her church, the oldest church in New York City, Marble Collegiate Church, 1 West 29th Street (at the corner of 5th Avenue and 29th Street). A celebration of her life will take place there at a time yet to be determined. The Evansville Museum of Arts, History, and Science, 411 SE Riverside Drive, Evansville, IN 47713, Kindred Hospice of Evansville, 323 Metro Avenue, Evansville, 47715 or Indiana University School of Medicine, Department of Anatomy, 635 Barnhill Drive, MS 5035, Indianapolis, Indiana, 46202-5120.